Classification society DNV GL has presented ShipInox, a Norwegian-based company from Stavanger, with an Approval in Principle (AiP) for its new small-scale LNG carrier/bunker vessel design. 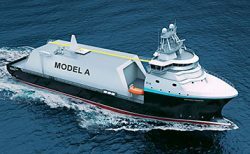 It is the first ever class-approved design based on an offshore supply vessel (OSV). With a length of 92 meters the ship will have a carrying capacity of 6,000 cubic meters. ShipInox AS was established with the intention of bringing cost effective and custom-fit small-scale LNG (SSLNG) carriers to the market. Interest in gas as a marine fuel is on the rise in the shipping industry. DNV GL’s most recent forecast predicts that by 2050 over 20 per cent of total shipping energy will be provided by LNG. In the shorter term, with the Sulphur cap on fuel entering into force in January 2020, the combination of technical maturity, efficiency, availability, and emissions reduction means that LNG is a viable option for many vessels, especially for newbuilding projects. 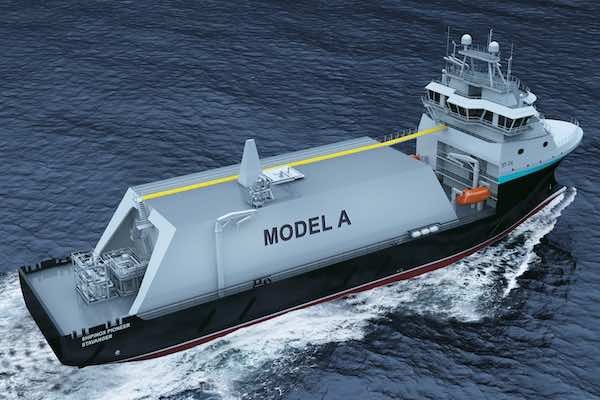 “This design could be a viable option for owners looking to move into different segments in a challenging market, especially as the gas segment continues to gain importance in shipping,” says Trond Hodne, Senior Vice President at DNV GL – Maritime. An Approval in Principle is an independent assessment of a concept within an agreed framework, confirming that the design is feasible and no significant obstacles exist to prevent the concept from being realized. The AiP is typically carried out at an early stage of a project to confirm its feasibility towards the project team itself, company management, external investors or future regulators.